This is an ATmega328P-U assembly kit including, a 16Mhz crystal, and one 28 pin Dil Socket as well as 2 x 22pf load capacitors and a voltage regulator. This will allow you to use Arduino code in your custom embedded project without having to use an actual Arduino board. To get this chip working with Arduino IDE, you will need to upload a bootloader and the 16Mhz crystal included, and also an external 5V supply, or you could use a usb to ttl converter to power the chip and upload your sketches just like you do with your arduino board. 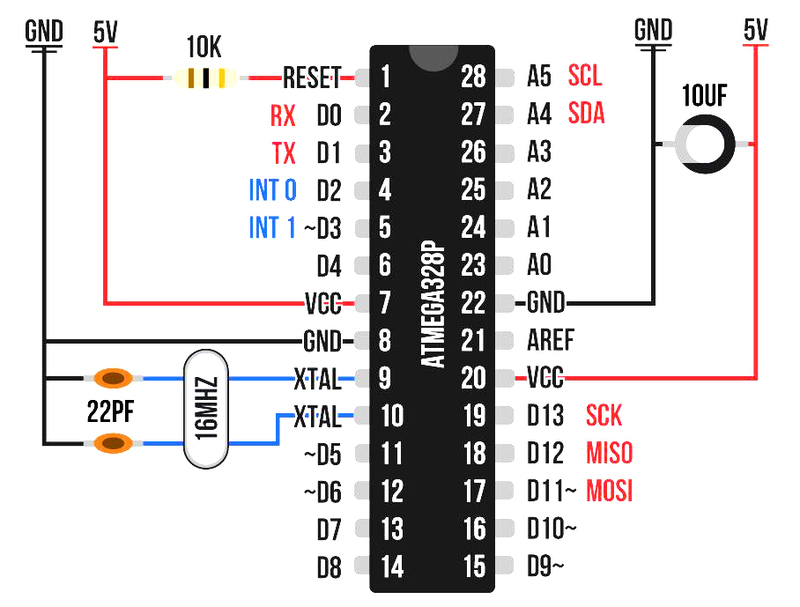 NRF24L01 RF 2.4 GHz 5.5V-3.3V Regulator Base Module This 5V-3.3V VCC Adapter Board for NRF24L01 Wireless Module enables you to use NRF24l01 type transceivers on 5V systems like Arduino. It regul..